A Piece of Texas History? 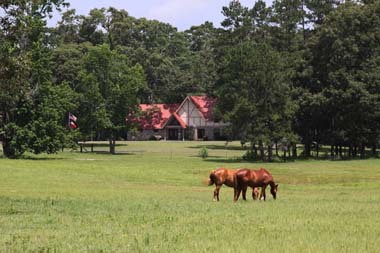 Offered for sale for the first time, this approximate 440 acres is the most distinctive property in Southern Montgomery County. Relaxation, reflection, and daily rejuvenation await you as you delight in discovering the special amenities that create a feeling of absolute contentment. The secluded acres, the serenity of the largest private stocked lake in the area, and the beautifully wooded grounds are dedicated to the awakening of the human spirit. A vast variety of wildlife and the sounds of Tranquility Lake make the rest of the world seem far away, yet you are only minutes away from The Woodlands and less than an hour from George Bush Intercontinental Airport, Downtown Houston, The Galleria, Sporting Events, the Theatre District?and all that a major metropolitan city have to offer. Excellence in education is yours with the Magnolia Independent School District and only 15 minutes away from the prestigious John Cooper School. THE RETREAT AT TRANQUILITY LAKE.